The "Ask and Answer" Question Game that builds questioning, describing, categorizing and problem-solving skills, all in one. Have one child put on the glasses. Place a photo card in the Peepers slot without showing it to the child. 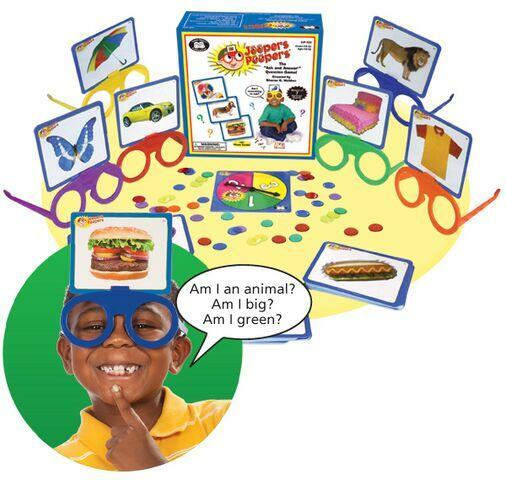 Have the child face the other players and use the Cue Card to ask yes/no questions to find out what he/she is! Dimensions: L: 9.5" x W: 9.5" x H: 3.8"